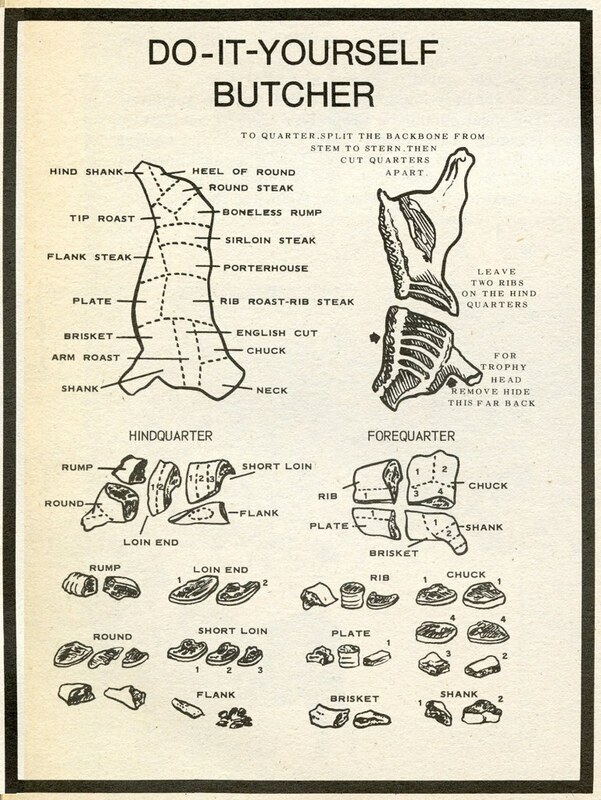 This Do it yourself beef cuts diagram is for the cook who wants to understand which cut comes from where. Tenderness and fat content come from the cut location and its proximity to bones and muscles. Check out some of the ridiculously good beef recipes to see how to use different cuts. The photo comes from Old Chum on Flickr although I don't know where it was originally created.